Our range of powder coating machinery has been developed over the more than 30 years we have been serving the powder coating industry. 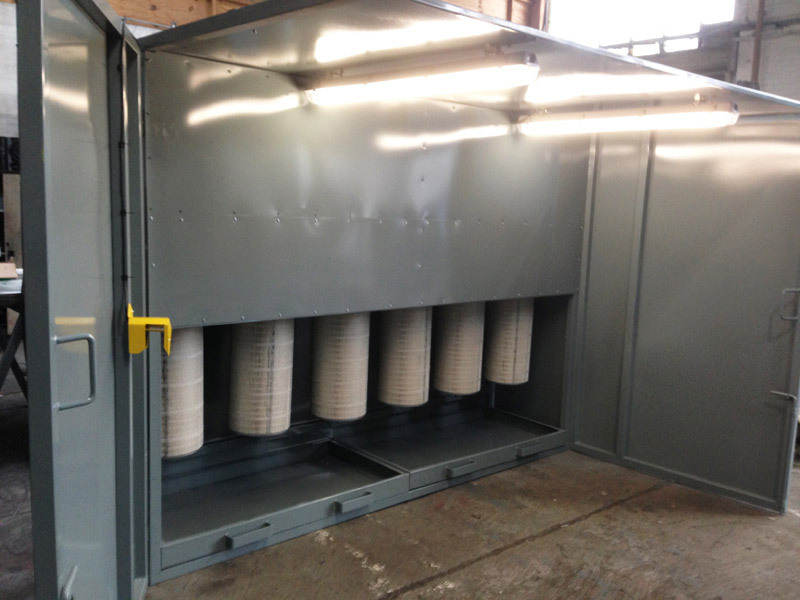 In our UK factory we manufacture technically advanced, heavy-duty powder coating machinery to provide powder coaters with the equipment they need to produce a high volume of high quality work as efficiently as possible. Our expertise in this area and adherence to value engineering principles has allowed us to build up a loyal customer base in countries around the world. In order to provide our customers with the most competitively priced equipment, we manufacture our machinery in a range of standard sizes. All of our machines are CE marked, guaranteed and available to view in person by potential customers at our premises in Glossop, 10 miles South East of Manchester in the UK. There are also pictures and videos throughout this site showing the machinery in use. Whatever your powder coating machinery or powder coating equipment requirements, get in touch with us now. Our curing ovens are some of the best selling in Europe. Our technically advanced design ensures efficient running and even heat throughout to provide the highest quality finish. A smaller and cheaper option for customers with limited powder coating requirements. 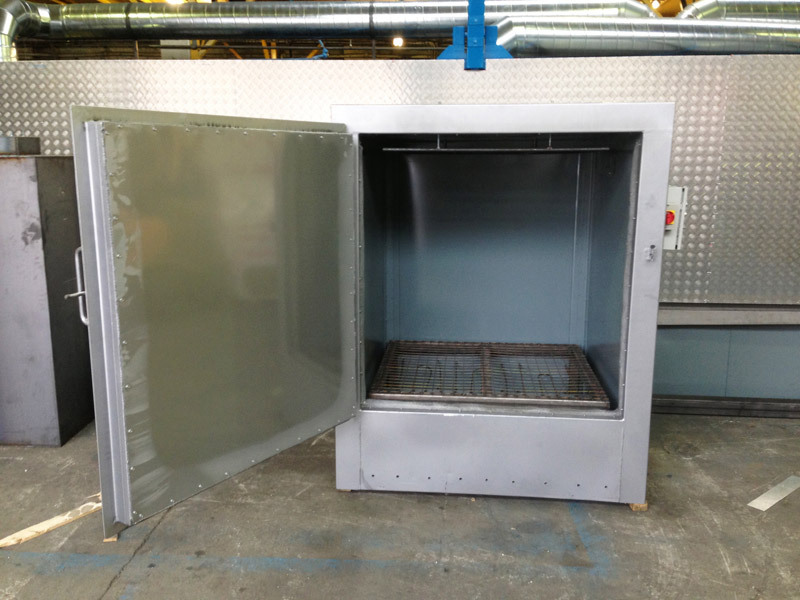 Our electrical curing ovens are large enough to fit 4 alloy wheels. 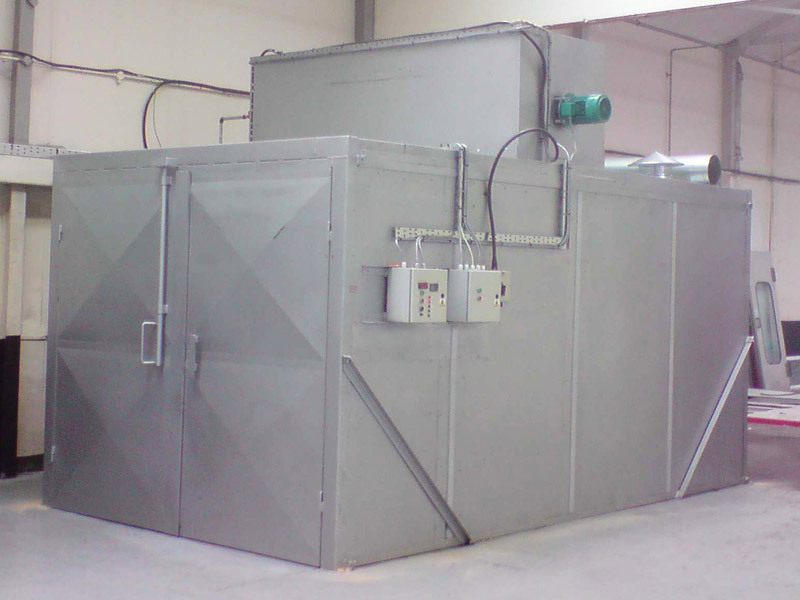 Our powder spray booths are fully equipped and allow our customers to keep their spraying contained in one area. 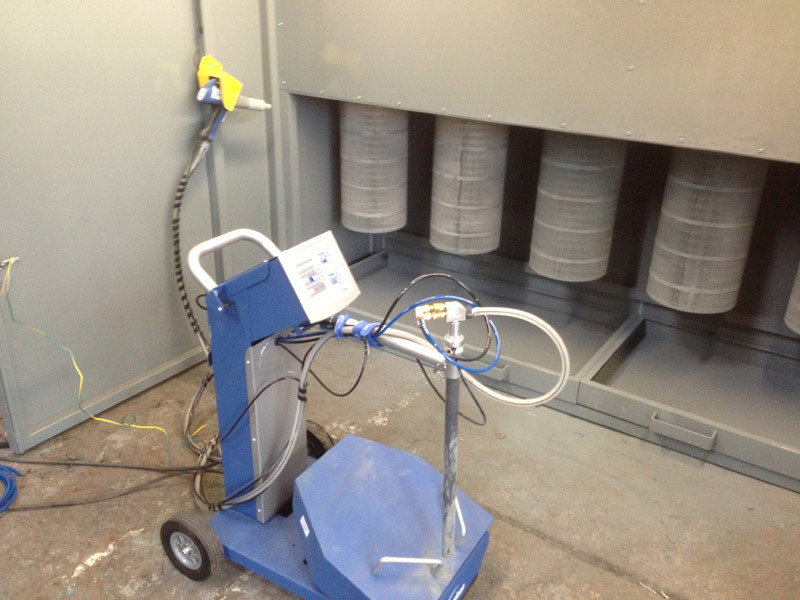 Powerful centrifugal fans and filters capture over-sprayed powder and are easy to clean and maintain. We have a range of new and used powder coating guns. We can advice you on the best powder gun to use for your requirements with the benefit of many years in the powder coating industry. 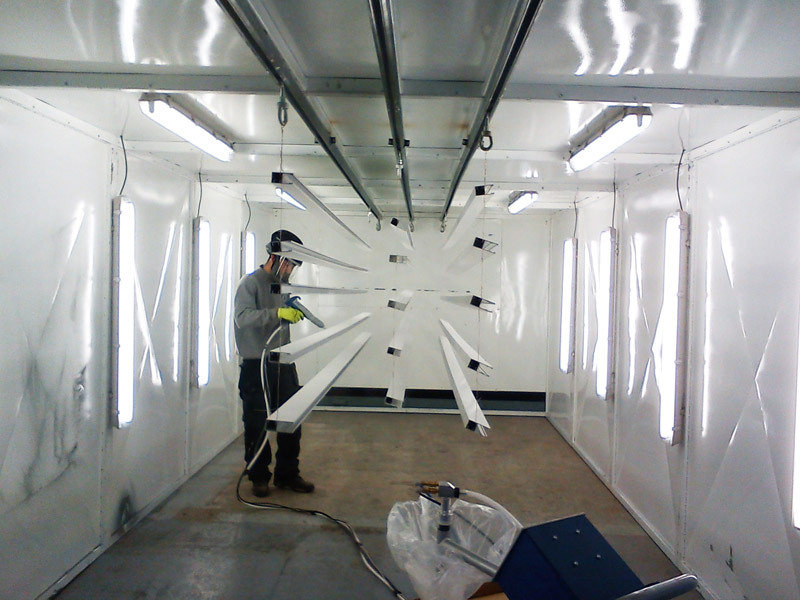 For the highest quality powder coating finish, pre-treatment of the metal is a must. 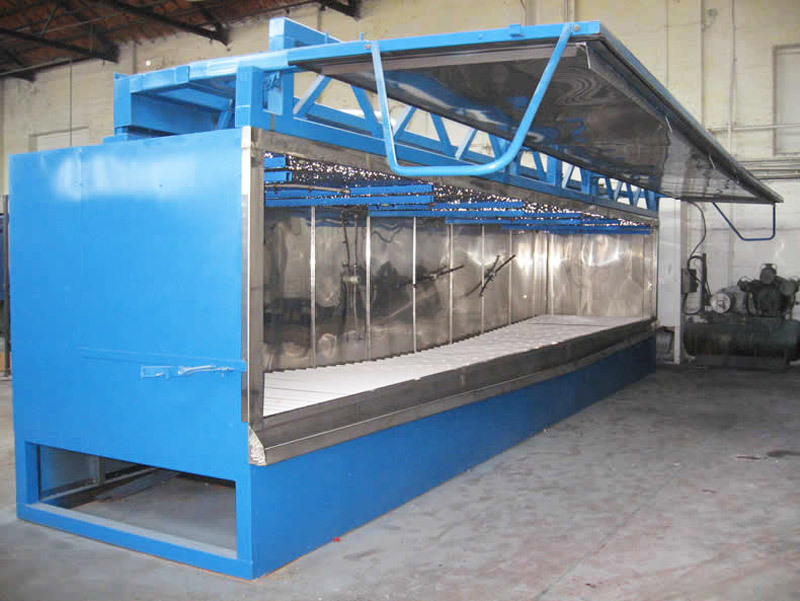 Our Auto-Wash machine provides a simple solution allowing components to be fully treated during an automatic cycle. 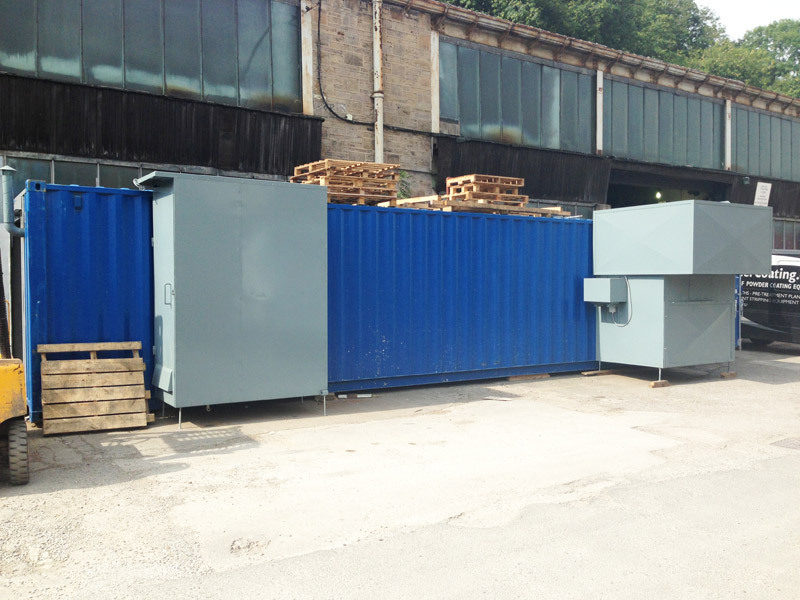 Our containerised powder coating plant is an ideal solution for powder coaters who need new powder coating machinery but lack the required space at their premises.